1. Actual photo showed, simple and easy to use. 2. Use your laser pointer to point at any desired targets on projection screen, video. 3. Power saving, lightweight, suitable for putting in your pocket or handbags. 4. This laser pointer can be used for presentation, teaching indicator, astronomical indications, outdoor instructions and more. 5. 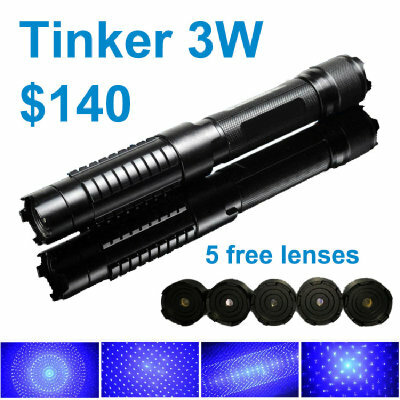 This high-quality laser pointer adopts the latest technology optics and microelectronics. 6. Press-button switch at the bottom, no need to keep holding when using it. 7. Portable size and science shape design. 2. The length of working time must not exceed 5 minutes. 4. When not in use, it is always a good idea to remove the battery -- it is is a good way to ensure children do not have access to it. 5. Do not whack or drop it. 6. Do not let dust fall into the light hole. 8. In some countries, laser pointers such as this may be illegal to own and/or use (especially the higher powered ones). Therefore, by purchasing these products YOU (the customer) accept all responsibility and liability to determine and fulfill the requirements and limitations of use or resale of these products in accordance with your country's laws and regulations. In the event of resale, you also agree to include this notation in the product description, so that any potential buyer can also make an informed purchasing decision.